How to Create a Strong Password Which is Easily Memorable But Hardly Guessable ? Creating a strong password is first step towards safety against cyber crimes. With the number of cyber criminals and hackers increasing at a faster pace, it becomes very important to protect yourself online. And when it comes to protection, creating a strong password is considered to be the best way of defense so that it can’t be easily guessed. Not only your financial details but also your other private as well as public information is important. And guess if someone succeeded in guessing your password, what will happen next ? Of course, your personal information will be exposed to wrong people and exposing of such crucial information can be extremely dangerous as they might be used for illegal purposes easily. One of the common advice that cyber security assistants provide you to be safe from such activities of frauds is creating a strong password which is different from your other passwords. But one of the toughest challenge in creating a strong password is to remember your all passwords. As after trying so many different passwords for various usernames, you forget them. So to make it simpler, all that you do is you end up creating the same password and same username for all of your online assets. This makes you feel comfortable as you have to remember single password. But at the same time this makes the work easier for hackers or cyber criminals. So finally what strikes to your mind is – Is there any tips for creating a strong password which is easily memorable but hardly guessable ? “Where There is Will There is a Way” – Unknown. Yes, there is a way as today I’m going to share some tips for creating a strong password. So if you have the will then keep reading this post. But before that let me tell you how to make sure whether your password is strong or weak ? A strong password contains all four types of characters [at least once] which are listed below. So while creating a strong password make sure your password contains all such characters. A password is weak if it doesn’t meet some specific criteria. So must avoid such mistakes while creating a strong password. Avoid creating a small password with total character counts less than 8 characters. Your password must contain more than 8 characters. Avoid using your birth date as numeric part of your password. Avoid using your real name, nickname or any other name [including your company]. Also any complete word must be avoided while creating a strong password. Avoid using your mobile numbers as password. About 67% hacked Facebook accounts are those who were having their mobile number as password. 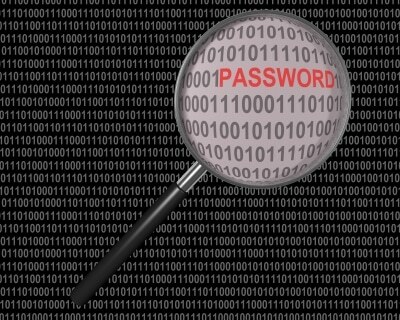 Avoid using any of your old password once again. So here comes the most awaited part of this blog post. The fact is that even if your password meets all the above criteria, it can be guessable. So to make it memorable and not easily guessable here are some quick but effective tips. Code words are tough to be guessable if you use unique code words. For example, “Virat Kohli Is Best Batsman In World Cricket At The Moment” can be [email protected]. But make sure you yourself don’t forget those code words. Synonym words can be very handy in creating a strong password. For example, if you are looking fo creating a strong password for PayPal….consider this. Paying means Funding, Cashing or Transacting etc. and Pal means Friend or Mate. So instead of PayPal, you can try synonyms like this in your password. This will not only make your password stronger but also easily memorable. As you can relate these words and link each with one-another. Your hobbies or interests are something that you remember best. So if your hobby is to play badminton, try this. Instead of “I Love To Play Badminton” use [email protected]@dmint()n.
Important dates hold an important place in our heart and are unforgettable. So try using them while creating a strong password but make sure you use them effectively. For example, “I Can Never Forget : I Got Married on 8 Dec, 2015” can be Icnvr4get:Igmo8dec,15. Now to make it funny, instead of I got married try My wife got married. Sometimes, think like a silly person and do mistakes. Spelling mistakes can be very handy in creating a strong password. For example, “Google is No.1 Brand at the Moment” can be [email protected]. Sometimes, such type of mistakes make your passwords mysterious. But make sure you don’t change yourself from being silly to intelligent or witty while login. Connect either all first letters, all last letters or specific letter for each word of a sentence and make a different word. For example, “I Love The Way You Tweet At Twitter” can be [email protected] or [email protected]#. We live in a world of passwords, where those few special characters make the big differences. So keep these tips in mind while creating a strong password and head towards a safer web experiences. One special tips that I have saved for the last part of this post is – Consider your password like your underwear. Though not everyday, but yes you need to change them at a regular interval when you think they are getting old. Though not the same as I recommended but create something different keeping these tips in mind and let those special characters remain magical. Hope you enjoyed reading these tips and tricks for creating a strong password. If you have any different idea for creating a strong password then must let me know via comment section below. hmmm i have lot of accounts and their password., if i keep all same it will get hacked d easily, it is difficult to remember all password and user name ., nice share it will help all user who are facing same problem. Thanks for your compliments Sushil. Do come back again for more tips. In this digital world we all use several password for our several account and to prottect them we just can’t use the same password for all. And in this situation creating a strong password and remember them is very hard. Thanks Rahul for this wonderful peace of tutorial. Glad to know you found it wonderful. However I would like to know out of those various tricks listed, which one would you prefer ? Thanks for your kind feedback ! what about using a password manager? Any preferences? Yea, password managers are new trend these days but again you are relying on something other than yourself. Next: TRP Explains : Is MoboMarket Best Alternative to Google Play Store?